Toledo Arabia’s vision is to continue expanding its role as a leader in the industry and nurture concrete relationships with our esteemed clients and skilled employees. Performance, trust and integrity drive us on our journey to become the benchmark in our field. We strive to offer you the finest quality design, site preparation, cost estimates, construction, testing and commissioning. In light of this, we uphold the highest standards of service at a competitive price, while building an excellent reputation for quality, safety and on-time delivery. 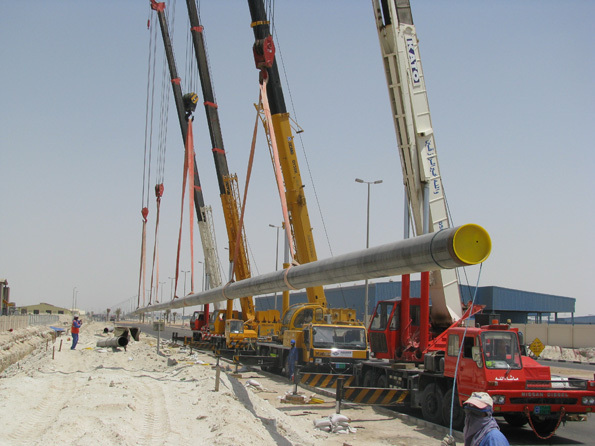 Toledo Arabia engineers reliability, procures satisfaction and constructs the market advantage. Actions speak louder than words. And so five main values define us and guide us in our daily work, and in addressing your project’s requirements. These values are at the heart of Toledo Arabia and are central to our development. Our commitment to on-time delivery, the highest quality standards and full compliance to a project’s specifications is concrete. We are also dedicated to best practices, reliable project management and the health and safety of our employees. Our rapidly expanding business is anchored in achieving and maintaining quality, health and safety standards and procedures (ISO 9001-2000, ISO 14001 and OHASAS 18001). Our people are our biggest asset and are the catalyst behind our success. We recruit and retain the best, fostering cooperative teamwork that leads to performance excellence. We provide opportunities and motivation to help our talents reach their true potential. Our clients and subcontractors are our partners. This is why we are totally dedicated to customer satisfaction. We focus on building partnership with individuals and leading companies to provide you with the added value. To be the leader in our field, we are driven to continuously improve our structure, processes, communication and approach to construction challenges. Embracing the latest technologies while building on proven methods, we develop with the times. Heritage shapes Toledo Arabia. Our legacy is defined by client focus, excellence, leadership, teamwork and commitment. These pillars form the infrastructure of our past, present and future. Based on the latest technologies and equipment, we uphold our well-constructed tradition and deliver the edge by focusing on our clients’ needs, dedication, cooperation, excellence and the true meaning of leadership. This lets us enhance our potential and energize your project’s work flow. The future is bright for Toledo Arabia thanks to our excellent service offerings and Saudi Arabia’s growth rate and real infrastructure requirements. We have built the road for long-term success. Empowered by thorough market studies, in-depth insight into the business, specialized expertise and an understanding of the inherent challenges, Toledo Arabia has already established a stable client-base. This base is growing as a result of our professional services that cater to the precise needs of: power generation and water desalination developers; big-name firms; municipalities; petrochemical industries; oil & gas exploration and production companies; and oil refinery complexes.